I felt offended and I wasn’t part of the conversation. How dare they question how someone felt! Why did they think that feeling okay wasn’t good enough? Did they seriously want that person to explain what “okay” meant to them so they could get a better understanding? You don't need to explain what 'okay' means to you. If you ask me how I’m feeling on any given day, there’s a 98% chance I’m going to respond with “okay”. There’s no room for interpretation in that response. 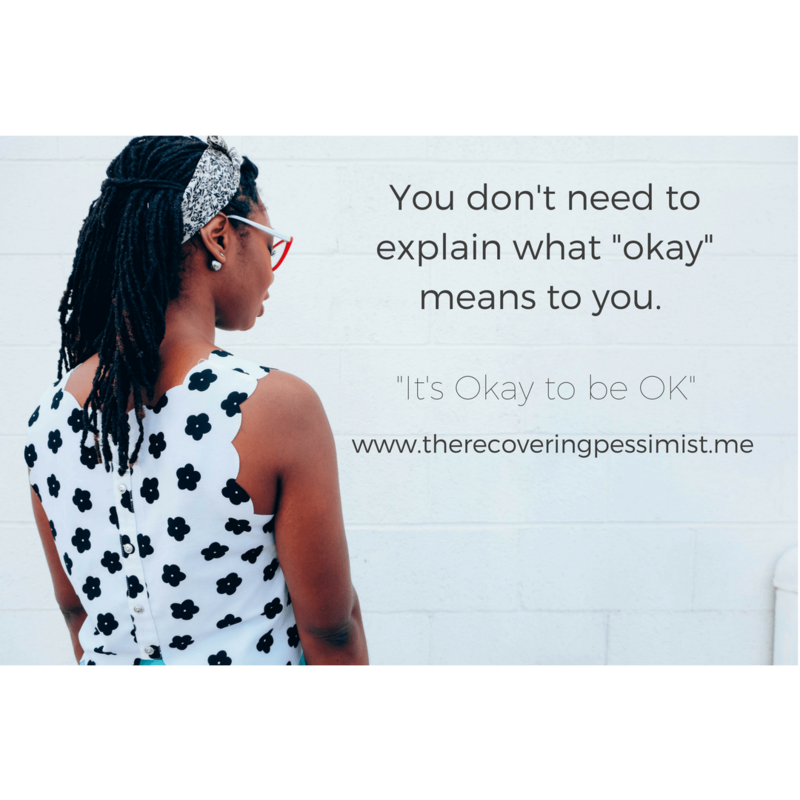 Feeling okay is just that…okay. If by chance, you’re the person questioning what “okay” means, I hope this makes you more aware of how your words are interpreted. Even if you meant no harm by it, understand that the person on the receiving end may find your words harmful. If they don’t give more detail in their response, let it be.